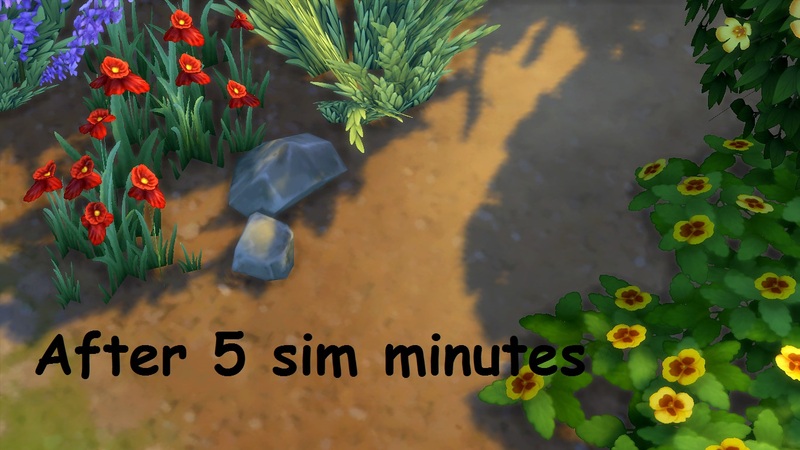 Perfect for your strays, wild cats, outdoor cats, camping, parks etc...or just lazy sims! 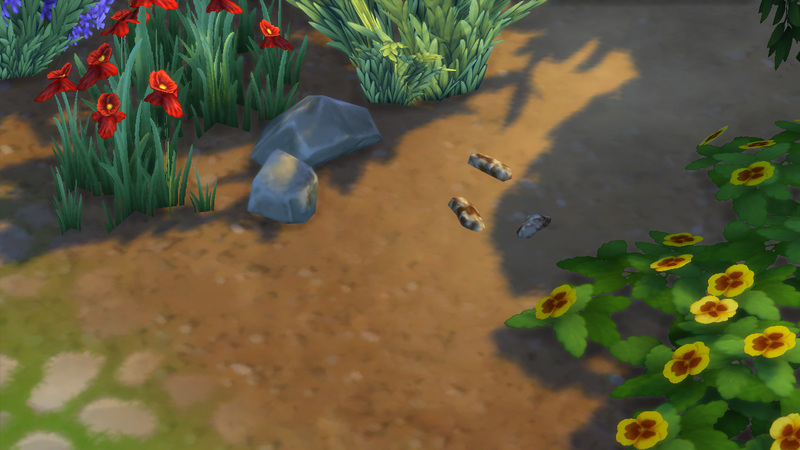 These stones will mark a spot outside where your feline friends can go potty. And when they're done, mother nature will take care of the mess! 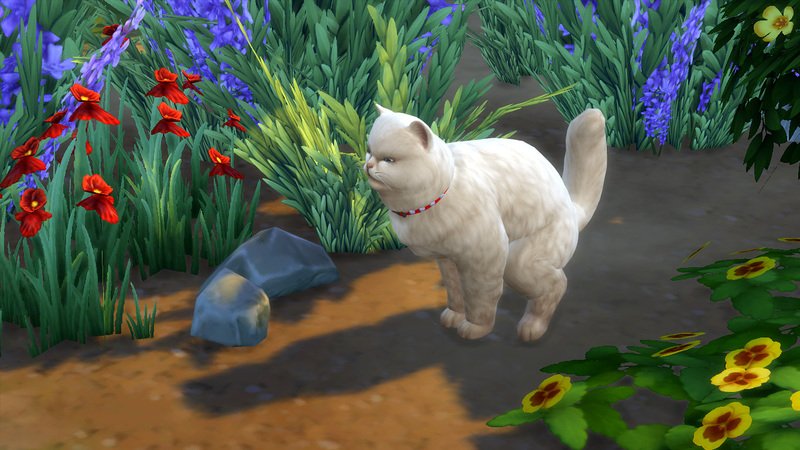 Cats will use this autonomously, but if you have the Playable Pets Mod, you can direct them to use it by clicking on the stones. They're portable too...of course...why wouldn't stones be portable? So you can show your cats where to "go" when on that camping/adventure trip! 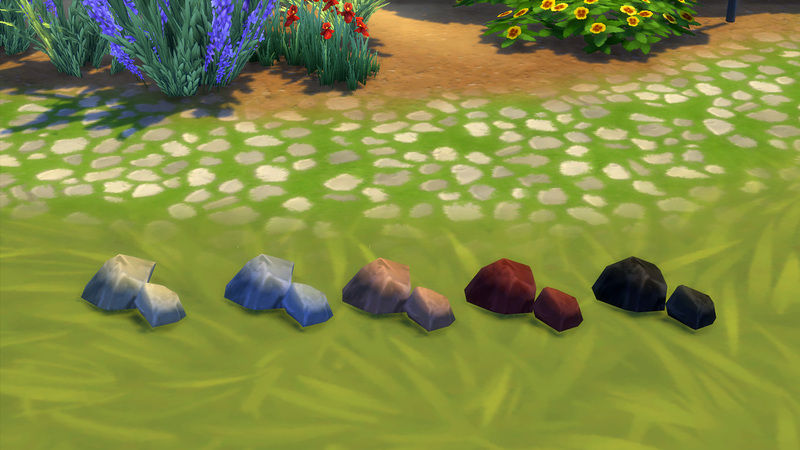 To keep the package small, the stones reference the textures of the in game rocks. They come in the same five colours for your matching pleasure. It has custom tuning, so it shouldn't conflict with anything. 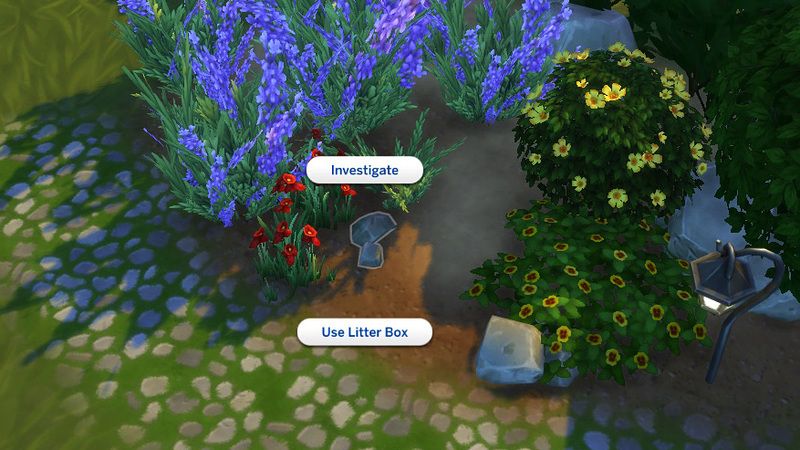 Found in the Pets category, where the other litter boxes are and costs �0...because stones are free!